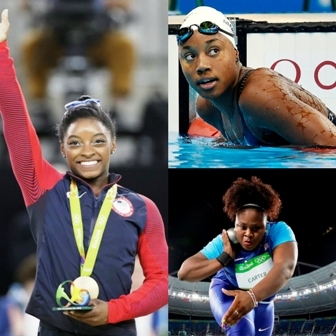 Black people throughout the African Diaspora took home medals and made history at the 2016 Rio Summer Olympics. Simone Biles and Gabrielle Douglas headlined in gymnastics, with Biles winning four gold medals. Michelle Carter became the first American to win shot put and Simone Manual was the first African American women to win a gold medal in the 100m freestyle. Champion Sprinter Usain Bolt earned gold medals in three events, totaling to nine career Olympic gold medals. The Los Angeles Sparks went through the season with minimal loses, beginning their championship run with an 11-game winning streak. 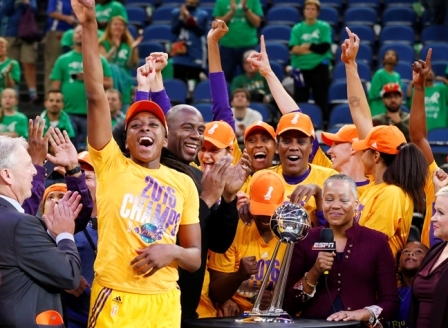 The Sparks came into the playoffs second in the WNBA with a 26-8 record. Among the championship, winning team is reigning league MVP Nneka Ogwumike, and Sixth Woman of the Year Jantel Lavender. 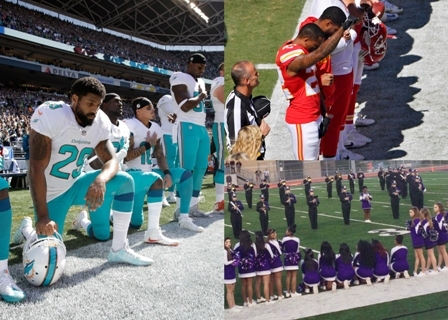 Professional athletes from different leagues spoke out about their disdain over gun violence and police brutality. The Minnesota Lynx and New York Liberty wore black shirts and held media blackouts. NBA stars, Carmelo Anthony, Chris Paul, LeBron James, and Dwayne Wade spoke out against gun violence at the ESPYS. NFL star Colin Kaepernick kneeled during plays of the national anthem during football games. Although accepted and rejected by many Americans, their acts continued conversations about the American justice system. 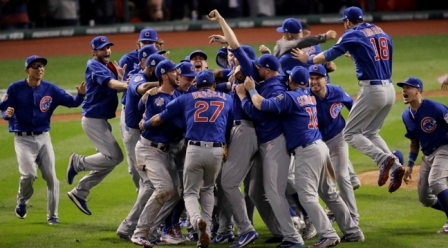 The Chicago Cubs defeated the Cleveland Indiands in a suspenseful game seven in the World Series. This was their first World Series title since 1908. Things looked bleak when All-star pitcher Aroldis Chapman gave up three runs in the eighth inning, but the Cubs rallied back after a 17-minute rain delay to win a 8-7 victory in 10 innings. 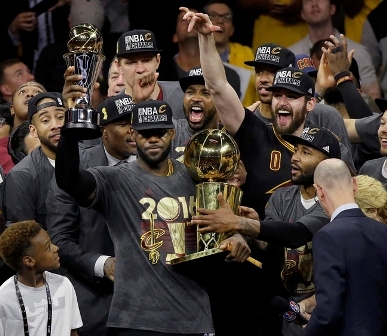 In 2014, NBA superstar LeBron James returned to the Cleveland Cavaliers with hopes of getting a championship for his hometown, or “get one for the Land.” With the help of the NBA 2012 rookie of the year Kyrie Irving and former UCLA Bruin stand out Kevin Love, the Cavaliers stunned the favorited Golden State Warriors with three consecutive winning games in the NBA Finals. NFL franchise owners allowed the Rams to return to Los Angeles after 22 years. 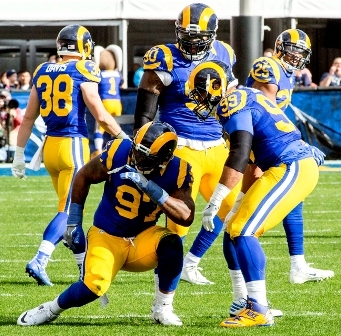 With the franchise came three Pro Bowlers: running back Tod Gurley, defensive tackle Aaron Donald, and defensive end Robert Quinn. The franchise also earned the first round overall pick in the 2016 Draft where they acquired former California quarterback Jared Goff. After losing to the Golden State Warriors in the NBA Playoffs, former Oklahoma City Thunder forward Kevin Durant decided to sign with the 2015 NBA Champs. 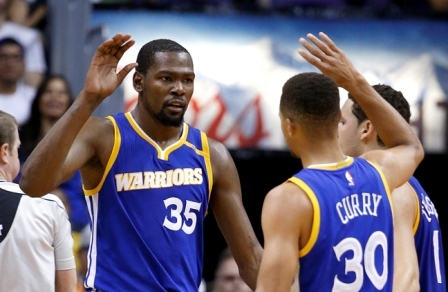 Many speculated the trade showed a lack of loyalty in Durant and others referred to the Warriors as the “villains” of the league. 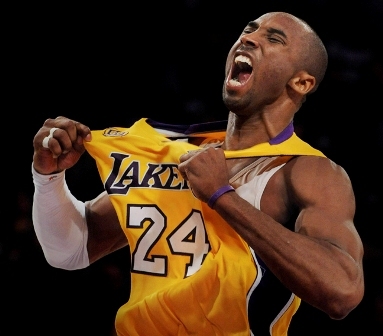 Durant averaged 28.2 points per game last season and is currently averaging 25.7 points. Dorsey High School graduate Breanna Clark represented the United States in the 400m dash during the 2016 Paralympics in Rio De Janeiro, Brazil. All of her training paid off win she earned the gold medal. Her coach is her mother, Rosalyn, who also was an Oly­mpic sprinter. During the Montreal Olympics in 1976, Rosalyn assisted the 4x400m team to a silver medal. 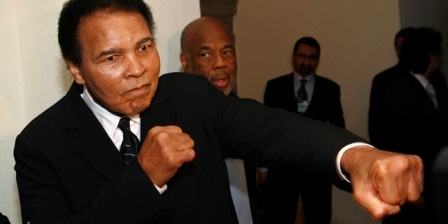 Legendary boxer and civil rights activist Muhammad Ali passed away in June at the age of 74. The three-time heavyweight champion publicly refused to be draft in the Vietnam war. Known as “The Greatest,” Ali bested George Foreman in “The Rumble in the Jungle” and Joe Frazier in the “Thrilla in Manilla.” Born as Cassius Marcellus Clay Jr., Ali changed his name when he converted to Islam. Louisville quarterback Lamar Jackson had a prolific 2016 season. He set the ACC record for rushing yards and led the Cardinals to a 9-3 overall record and to the rank of 15 in the AP poll. Jackson is the first player in FBS history to accumulate 1,500 rushing yards and 3,300 passing yards during one season. 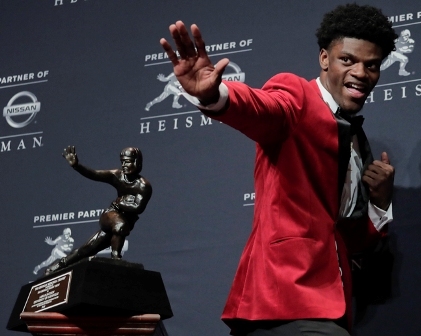 Jackson is the first player in Louisville history to win a Heisman. 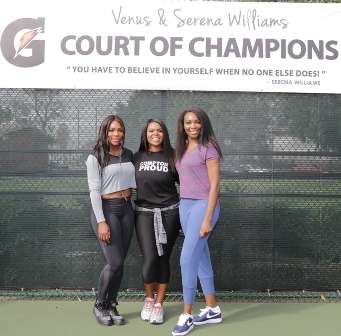 Mayor Aja Brown and the City of Compton dedicated the Lueders Park Court to the historical tennis players Venus and Serena Williams. The sisters also planned to open the Yetunde Price health center, in honor of their late sister, to help families who were affected by gun violence. Venus won her fifth Olympic medal at the 2016 Rio Olympics and Serena earned her 22nd grand slam title at Wimbledon. The sisters won women’s doubles in Wimbledon. Emmy Awarded-winning director Ezra Edelman produced and directed the ESPN 30 for 30 documentary “O.J. 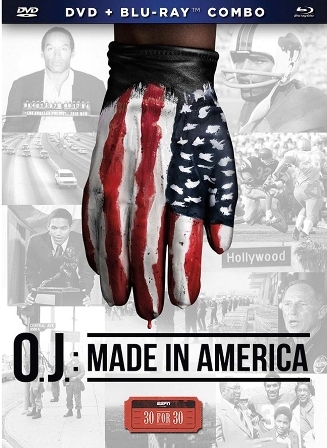 : Made in America.” Edelman focused on the issues of race, the history of Los Angeles, and O.J. Simpson as a person in the five part series. One of his sources for the series is Danny Bakewell Sr. 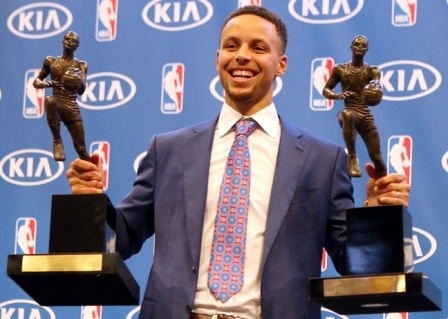 Three-point sharp shooter Steph Curry became the first player in NBA history to win the MVP honor through a unanimous vote. The Golden State Warriors guard scored a career high of 53 points in a single game and shot at 50 percent in field goals and 45 percent in three point shots during their 2015-2016 campaign. Ultimately, Golden State had an overall record of 73-9.
to become one of the most prolific players during the 2016 season. 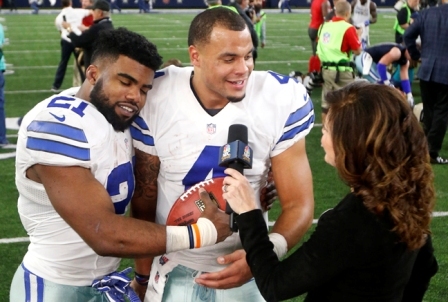 Fellow rookie Ezekiel Elliot joined Prescott to assist the Cowboys to a 12-2 record as of Christmas Eve. Elliott leads the league in rushing with 1631 yards. Prescott made 23 touchdown passes and completed 3,630 passing yards as of week 16 of the 2016 season. In fall of 2015, students at View Park High School signed a petition to create a softball and baseball program. View Park staff supported the students, garnering donations for equipment and uniforms for the 2015-16 season. 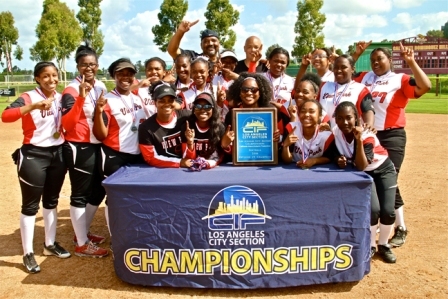 The softball team had a 17-1 record and earned a top seed in the playoffs. They faced off against Vaughn high school, winning with a 5-2 effort, in the division IV championship match. 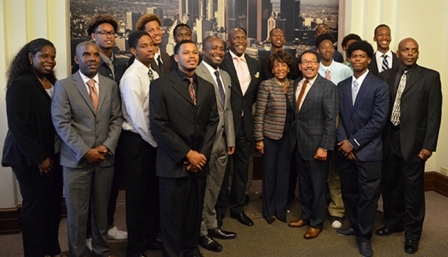 After 19 years, the Crenshaw cougars boys basketball team earned a city championship title. The cougars had a 19-13 overall record and defeated University and the top seeded Fremont high schools in the division 1 playoffs. They faced off against Hamilton high school in the title match and won in a 61-52 victory. The Chino Hills Boys Basket­ball team won 35 consecutive games and won the CIF state Open Division Championship with help from Lonzo, Li’Angelo, and LaMelo Ball. The trio of brothers gained media attention due to their explosive offensive plays, leading Chino Hills to be the top ranked boys basketball team in the nation. 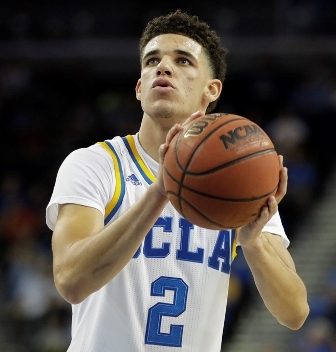 Lonzo, the eldest, currently plays for the UCLA Bruins, where he averages 13.7 points per game. The Dodgers’ first African American general manager Dave Robert won National League Manager of the Year with 16 out of 30 first place votes. 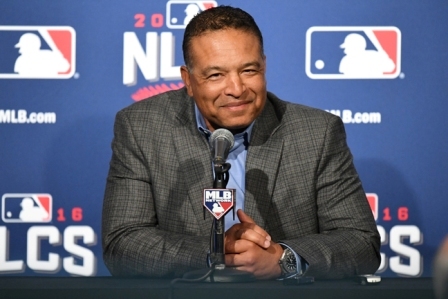 Roberts, who also was elected as Sporting News Manager of the Year, aided the Dodgers to claim the National League title with a 91-71 overall record. In his second season with Los Angeles, Roberts directed the Dodgers into the playoffs where they lost to the Chicago Cubs in the National League Championships. 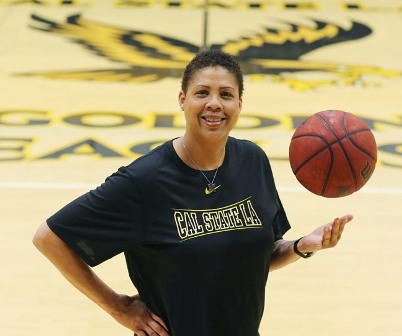 Basketball legend Cheryl Miller became coach of the Cal State Los Angeles Women’s basketball team. The Golden Eagles have a 7-5 overall record and is undefeated at home as of December 26. Miller assisted the USC women’s basketball team to two NCAA Championships and helped team USA win a gold medal during 1984 Summer Olympics.